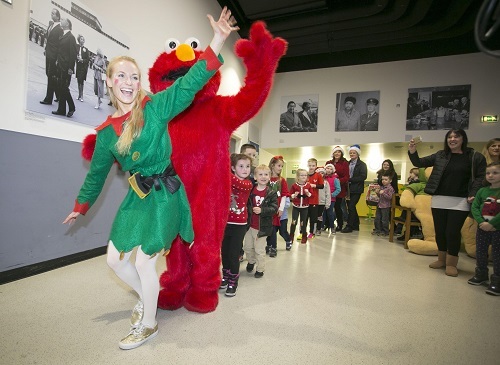 Shannon, Ireland, 2018-Nov-07 — /Travel PR News/ — Over 2,000 lucky children and their parents will get to meet Santa 15,000 ft above sea level as Shannon Airport launches its 2018 Santa Flights adventure today. Short of Christmas Eve itself, Santa’s busiest day in the run up to December 25th is set again for Shannon Airport as the big man jets in for his sixth successive annual Santa Flights, one of Ireland’s best loved and unique Santa experiences. In what has become the most sought after Christmas event for children across the country, Santa will take to the skies with a troupe of elves on Saturday 1st and Sunday 2nd December. The excitement will be palpable and spirits will be soaring as the delight fills the airport’s terminal building and skies above for a very special treat for children. The lottery system goes live on Wednesday November 7th at 12 noon with details on how to enter the lottery available on the Shannon Airport Facebook page, the airport’s twitter account and on its website www.shannonairport.ie. The lottery will close on Tuesday 13th November and the winners will be notified by text soon after. Bookings are confined to a maximum of six but with the airport determined to ensure as many children as possible avail of the very special Christmas treat, a maximum of two adults will be allowed with any group of six. No child will be allowed on their own without an adult. Commenting on the Santa Flights, Andrew Murphy, Shannon Airport, Managing Director said: “Our Santa Flights are a really lovely, heart-warming event and from our perspective it is great to be able to spread a bit of Christmas cheer and put smiles on so many children’s faces. Organising the event takes huge logistics. This entry was posted in Airlines, Airports, Entertainment, Festivals and Events, Flights, Travel, Travel Services, Travelers and tagged 2018 Santa Flights adventure, Andrew Murphy, Christmas, Matthew Thomas, Shannon Airport. Bookmark the permalink.